Kevin is a husband, father, pastor, and communicator. Born and raised in the Atlanta area, he’s a graduate of the University of Georgia, New Orleans Seminary, and Bethel Seminary. Before joining Cross Point's staff in August 2017, Kevin served for 14 years on staff at 12Stone Church, a large multi-site church with 8 campuses in Metro Atlanta. 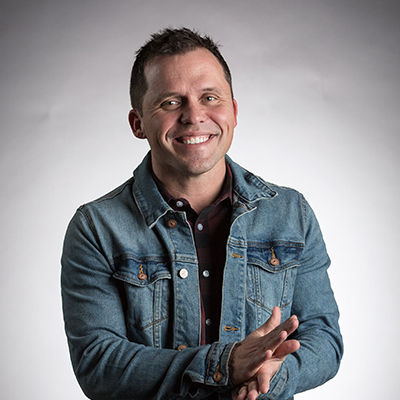 During his last 10 years at 12Stone, he served as both a Campus Pastor and Teaching Pastor. Kevin and his wife Rea have been friends since 9th grade and this year they celebrate 17 years of marriage. Together, they have four children, Raleigh, Camden, Durham and Bolton. Kevin is into trail running, CrossFit, SEC football and good BBQ. He’s passionate about helping people get in on life with Jesus and inspiring people to fulfill their God-given potential.